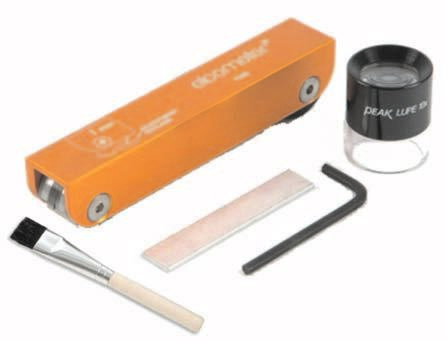 The Elcometer 107 Cross Hatch Cutter provides an instant assessment of the quality of the bond to the substrate. Due to its rugged construction this gauge is ideal for thin, thick or tough coatings on all surfaces. An ideal field or laboratory test. 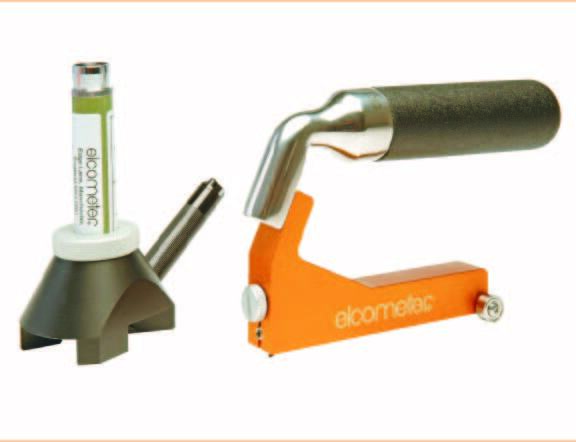 The Elcometer 107 Cross Hatch Cutter is available as a Basic or Full Kit. ○ Optional Calibration Certificate available. This is a simple but effective method for determining the coating adhesion on a wide range of substrates. This adhesion tester is ideal for coatings on flat surfaces and is available with one of three different spacings, corresponding to the thickness of layer to be tested. A simple instrument for quickly determining the coating adhesion of a large variety of paints up to 50μm (2 mils) thickness. Made from steel, this cross hatch gauge has 11 tapered teeth with 1mm spacing. Two sets of lines are cut at right angles to obtain a pattern of 100 squares. Available in two models, the Elcometer 121 Paint Inspection Gauge is designed to measure the thickness of single or multiple layers of coatings. Both models are supplied with illuminated integrated graticule microscopes. The Elcometer 141 PIG is a quick, versatile method of examination and destructive measurement of coatings in a portable, easy to use instrument. Ergonomically designed to give a balanced weight distribution for a consistent cut, it is ideal for tough coatings and enamels. 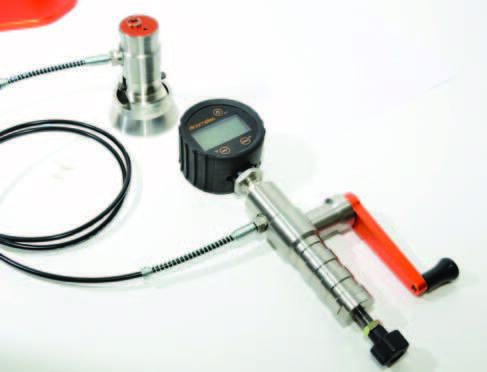 The Elcometer 506 are lightweight, portable and easy-to-use adhesion gauges available in analogue or digital versions and are suitable for measuring the pull-off adhesion of coatings up to 50MPa (7250psi) either on-site, or in the laboratory. Packing List Basic Kit: Robust handle, cutter, hexagonal wrench, presentation storage case and instructions (together with Classification of Adhesion Test Results chart). 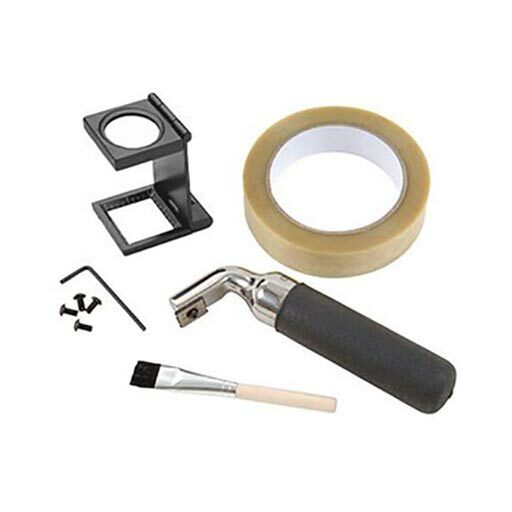 Full Kit: Robust handle, cutter, hexagonal wrench, instructions (together with Classification of Adhesion Test Results chart), eye glass, brush and adhesive tape (either ASTM or ISO tape), all in a plastic ABS carry case.